Alexis Carrel – French surgeon and biologist. A French surgeon who received the 1912 Nobel Prize for Physiology or Medicine for developing a method of suturing blood vessels, Alexis Carrel was born on June 28, 1873, Sainte-Foy-lès-Lyon, France. He invented the first perfusion pump with Charles A. Lindbergh opening the way to organ transplantation. Like many intellectuals of his time, he promoted eugenics. He was a regent for the French Foundation for the Study of Human Problems during Vichy France which implemented the eugenics policies there; his association with the Foundation and with Jacques Doriot’s ultra-nationalist Parti Populaire Français led to investigations of collaborating with the Nazis, but he died before any trial could be held. Carrel also analyzed the conservation of living tissues that were taken out of the body and in one notable case, by circulating tissue culture fluid, he maintained the living culture for more than two decades. During ‘Second World War’, he aided in devising ‘Carrel-Dakin’ method to treat war wounds that involve the application of antiseptic fluids to prevent infection a procedure used extensively since then. He was an advocate of the social philosophy called ‘Eugenics’ that encompassed a set of beliefs and practices aimed at improving human genetic traits. The French Foundation for the Study of Human Problems, where he served as director during the period of Vichy France, implemented the policies of ‘Eugenics’. His link with them as also with French fascist and anti-semitic political party ‘Parti Populaire Français’ led to probes over his alleged involvement with the Nazis. He also faced media wrath due to such accusations during the later stages of his life. 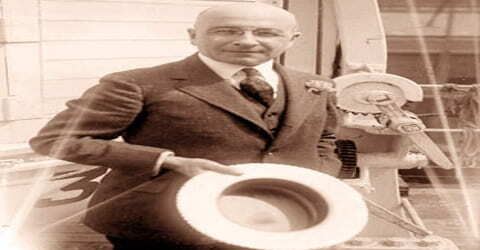 A French biologist and surgeon, Alexis Carrel were born on June 28, 1873, in Sainte-Foy-lès-Lyon in eastern France, in the Roman Catholic family of Alexis Carrel Billiard and Anne Marie Ricard as their eldest child among three. His father was a textile manufacturer and died when Alexis was just five. After his father’s death, he and his siblings were raised by his mother. Carrel attended a Jesuit day school and college near Lyons and showed great interest in biology. He used to dissect birds as a schoolboy. In 1889 he received his Bachelor of Letters from the ‘University of Lyons’. After receiving his Bachelor of Science degree from ‘University of Lyons’ in 1890, he further studied in the university as a student of medicine and earned his medical degree in 1900. 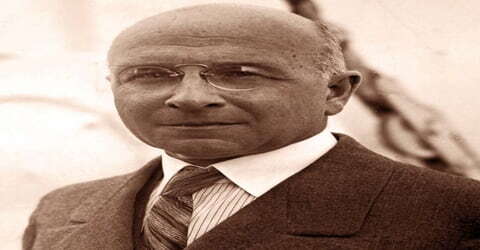 Alexis Carrel was a pioneer in transplantology and thoracic surgery. Carrel was also a member of learned societies in the U.S., Spain, Russia, Sweden, the Netherlands, Belgium, France, Vatican City, Germany, Italy, and Greece and received honorary doctorates from Queen’s University of Belfast, Princeton University, California, New York, Brown University and Columbia University. Carrel remained attached with Lyons’ hospitals from 1893 to 1900, barring a year when he served the ‘Chasseurs Alpins’ of the French army as a surgeon. He was also attached with the lab of renowned anatomist J. L. Testut in 1898. In 1913, Alexis Carrel married Anne-Marie-Laure Gourlez de La Motte. She was the widow of M. de La Meyrie and had a son. Carrel and Anne had no child of their own. Once in 1914 during the ‘First World War’, his wife assisted him as a surgical nurse. Alexis Carrel met Trappist monk Alexis Presse in 1939 who eventually had a great influence on Carrel for the rest of his life. For much of his life, Alexis Carrel and his wife spent their summers on the Île Saint-Gildas, which they owned. After he and Lindbergh became close friends, Carrel persuaded him to also buy a neighboring island, the Ile Illiec, where the Lindberghs often resided in the late 1930s. Alexis Carrel received an M.D. (1900) from the University of Lyon. Soon after graduating, Carrel became interested in the repair of blood vessels, and he developed a method to suture them together end-to-end with a minimum of stitches. This technique became essential for many surgical operations, including the transplantation of blood vessels and organs. In 1902, Carrel was claimed to have witnessed the miraculous cure of Marie Bailly at Lourdes, made famous in part because she named Carrel as a witness of her cure. After the notoriety surrounding the event, Carrel could not obtain a hospital appointment because of the pervasive anticlericalism in the French university system at the time. In 1903 he immigrated to Montreal, Canada, but soon relocated to Chicago, Illinois to work for Hull Laboratory. While there he collaborated with American physician Charles Claude Guthrie in work on vascular suture and the transplantation of blood vessels and organs as well as the head, and Carrel was awarded the 1912 Nobel Prize in Physiology or Medicine for these efforts. In 1905 Carrel was inducted by ‘The University of Chicago’ in its ‘Department of Physiology’ where he worked under Professor G. N. Stewart. In 1906 Carrel joined the newly formed Rockefeller Institute of Medical Research in New York where he spent the rest of his career. The institute inducted Carrel as an ‘Associate Member’ and later in 1912 he became a ‘Full Member’. He devoted rest of his career at this institute and conducted prominent research work there. In collaboration with the US surgeon and pathologist Montrose Thomas Burrows, he carried out significant investigations on ‘tissue culture’, a phrase coined by both. The assassination incident of French President Sadi Carnot in 1894, when Carrel was a young surgeon, left a deep mark on him. He saw challenges faced by surgeons treating the President in successfully rejoining large abdominal veins that were severed due to the attack. This triggered him to develop new methods to suture blood vessels. The sewing lessons he undertook earlier inspired him to apply the technique of ‘triangulation’, which is still in use. For around a decade from 1901 to 1910, he explored and developed many procedures known to vascular surgery till date and achieved immense success in rejoining veins and arteries as also performing surgical grafts. Such contributions led him to win the ‘Nobel Prize’ in 1912. The phenomenon of aging intrigued him and on January 17, 1912, Carrel initiated an experiment that saw him placing a bit of tissue cultured from an embryonic chicken heart in a Pyrex flask. He kept this connective tissue cells alive for more than two decades by regularly supplying nutrients. Carrel was married in 1913 to Anne de la Motte de Meyrie, a devout Roman Catholic widow with one son. The couple had no children of their own. Recalled in 1914 to service in the French army during World War I, Carrel conducted a hospital and research center near the front lines, where his wife assisted him as a surgical nurse. 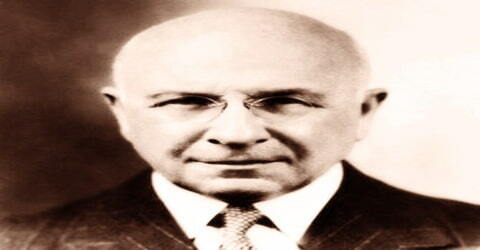 With the aid of a chemist, Henry B. Dakin, he developed a method of treating severely infected wounds, which although often effective was too complicated for general use and has been supplanted by the use of antibiotics. In 1916, while the ‘First World War’ was going on, Carrel was serving as a Major in the French Army Medical Corps. His request to the Rockefeller Institute for a chemist was granted and accordingly English chemist Henry Drysdale Dakin joined him at a temporary hospital in Compiegne. The duo invented the ‘Carrel–Dakin’ method based on Dakin’s solution, chlorine, for treating wounds. Carrel received the ‘Légion d’honneur’ for such contribution. Carrel was twice elected an honorary member of ‘Academy of Sciences of the USSR’ in 1924 and 1927. He remained a member of many learned societies of several countries including France, the US, Germany, Russia, Spain, and Italy. His book ‘L’Homme, cet inconnu’ (‘Man, The Unknown’) which accounted for known and unknown aspects of the human body and life, was published in 1935. It emerged as a best-seller. In the 1930s, Carrel and Charles Lindbergh became close friends not only because of the years they worked together but also because they shared personal, political, and social views. Lindbergh initially sought out Carrel to see if his sister-in-law’s heart, damaged by rheumatic fever, could be repaired. When Lindbergh saw the crudeness of Carrel’s machinery, he offered to build new equipment for the scientist. Eventually, they built the first perfusion pump, an invention instrumental to the development of organ transplantation and open heart surgery. Lindbergh considered Carrel his closest friend and said he would preserve and promote Carrel’s ideals after his death. Carrel’s naturally religious, even mystical, temperament led him to speculate on the great problems of human destiny. In a widely read book, Man the Unknown (1935), he expressed the hope that scientific enlightenment might confer upon mankind the boons of freedom from disease, long life, and spiritual advancement, under the leadership of an intellectual elite. Carrel retired from the Rockefeller Institute in 1938 and, after the outbreak of World War II, returned to Paris, hoping to serve his native country by a grandiose program to safeguard and improve the population by scientific nutrition, public hygiene, and eugenics. On January 1, 1938, the first edition of their book ‘The Culture of Organs’ was published and on June 13 that year the duo appeared on the cover of ‘Time’ magazine. Carrel joined ‘Centre d’Etudes des Problèmes Humains’, led by French engineer Jean Coutrot in 1937. In 1941 Carrel became director of the French Foundation for the Study of Human Problems in Paris. His book Man, the Unknown (1935) expounded many of his religious and social ideas. Carrel received honorary doctorates from several universities including New York, California, Columbia, ‘Brown University’, ‘Princeton University’ and ‘Queen’s University of Belfast’. 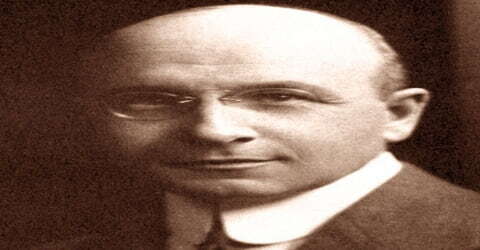 Alexis Carrel was awarded the ‘Nobel Prize in Physiology or Medicine’ in 1912. In 1972, the Swedish Post Office honored Alexis Carrel with a stamp that was part of its Nobel stamp series. In 1979, the lunar crater Carrel was named after him as a tribute to his scientific breakthroughs. 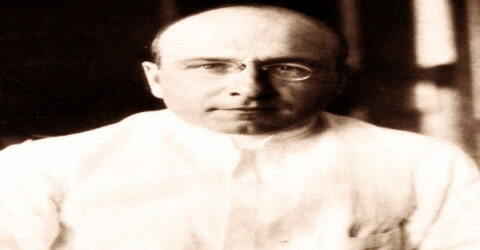 While on his death bed, Alexis Carrel called for Presse to conduct the Catholic Sacraments and on November 5, 1944, passed away in Paris, France. Carrel’s major contributions include his work on vascular suture and transplantation of blood vessels and organs including the development of new methods to suture blood vessels; significant investigations on ‘tissue culture’, an invention of first perfusion pump; and development of ‘Carrel–Dakin’ method for treating wounds. In February 2002, as part of celebrations of the 100th anniversary of Charles Lindbergh’s birth, the Medical University of South Carolina at Charleston established the Lindbergh-Carrel Prize, given to major contributors to “development of perfusion and bioreactor technologies for organ preservation and growth”. Michael DeBakey and nine other scientists received the prize, a bronze statuette created for the event by the Italian artist C. Zoli and named “Elisabeth” after Elisabeth Morrow, sister of Lindbergh’s wife Anne Morrow, who died from heart disease. It was, in fact, Lindbergh’s disappointment that contemporary medical technology could not provide an artificial heart pump which would allow for heart surgery on her that led to Lindbergh’s first contact with Carrel.